Isn’t that part of love? Part of any wedding day? One of my favorites! 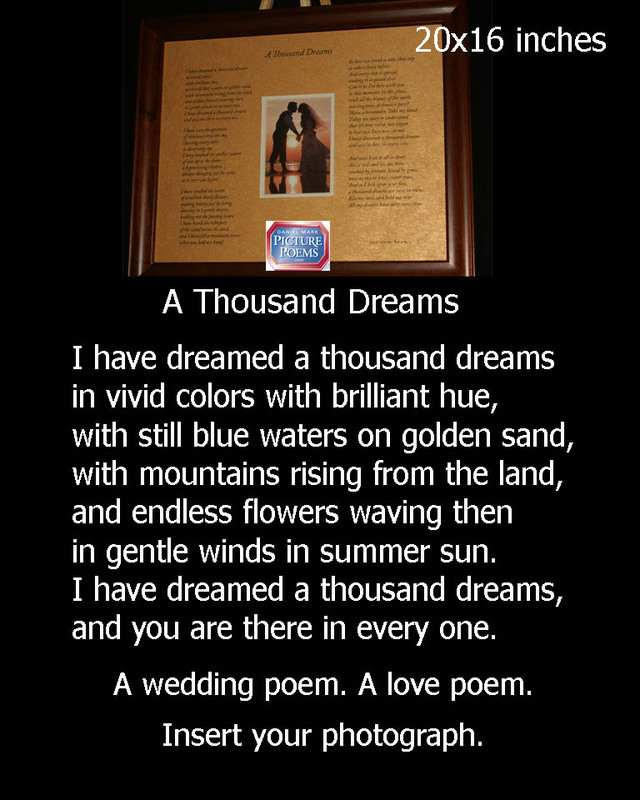 A love poem for weddings, for engagements, for Valentine’s Day, for birthdays, for Christmas. Anytime. 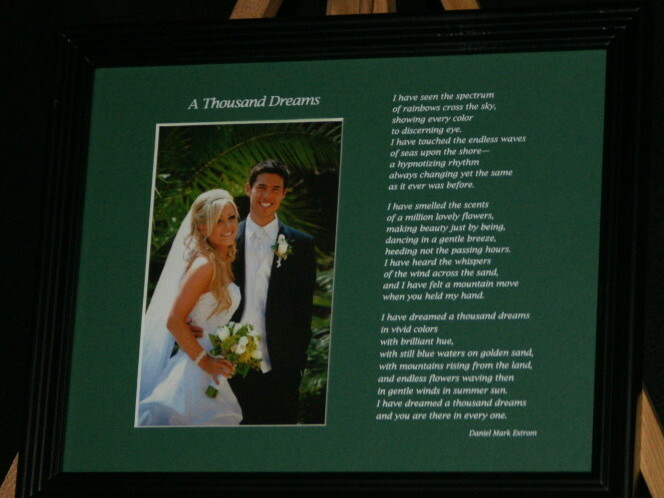 Insert photograph of your lover or spouse, or the two of you. Or even of a favorite place! 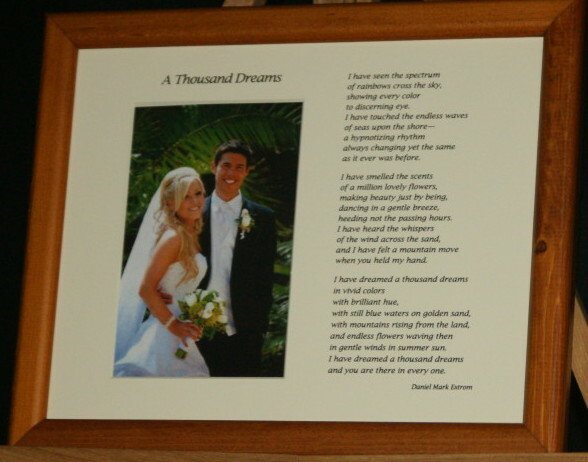 Or, if you are giving a gift to the happy couple, insert a photo of the two of them, or their favorite place! A great gift! in gentle winds in summer sun. 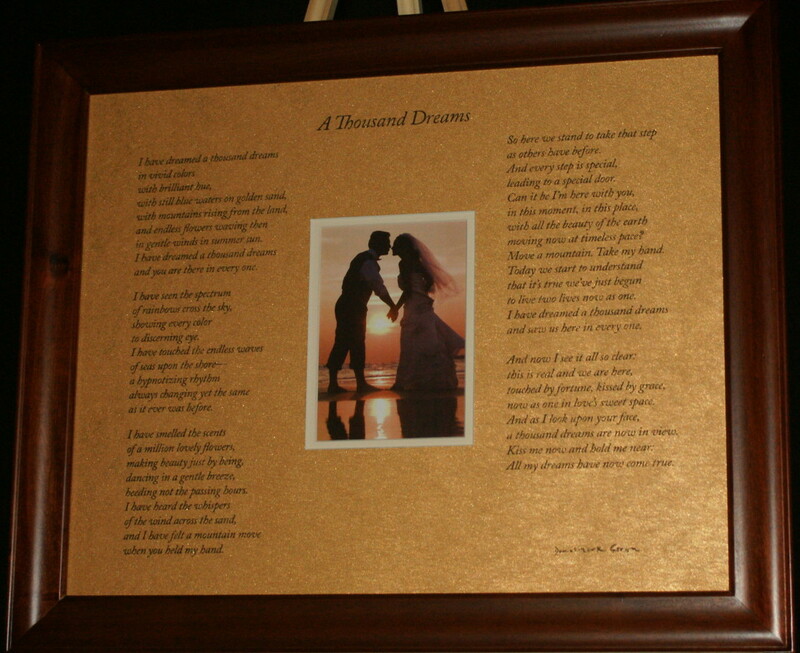 Matte Colors: Glittery Gold (this looks a little more orange) with white double matte around photo; Cream with gold matte around photo; Light Gold with white matte around photo. 10 inches by 8 inches. Matte colors: burnt red; cream, light gold, dark gold and dark green. In box 2 (“Matte Color Choices for 10×8 Printed Mattes”), click your 10×8 color choice. A photo of your selection should appear at the top of the page, and a thumbnail should appear in the Shopping Cart. Be sure that some choice is clicked in each box. If there are any problems with placing your order, try clicking “Clear Selection” in blue print at the bottom of the “Select Frame” box, make sure the selections clear, then re-enter your selections. You must make a selection in each box. If there are any questions, please contact me. 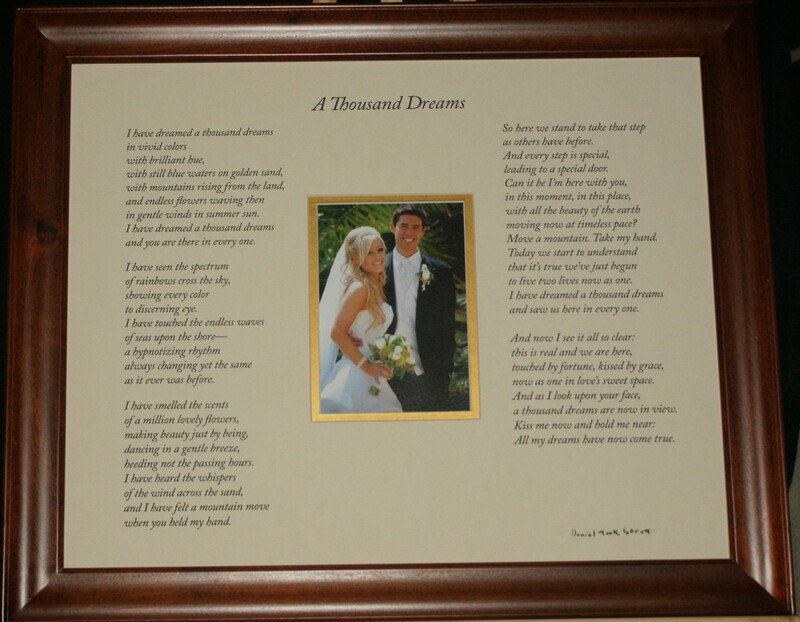 *Frames are shown as examples of how the matte will look in frame. 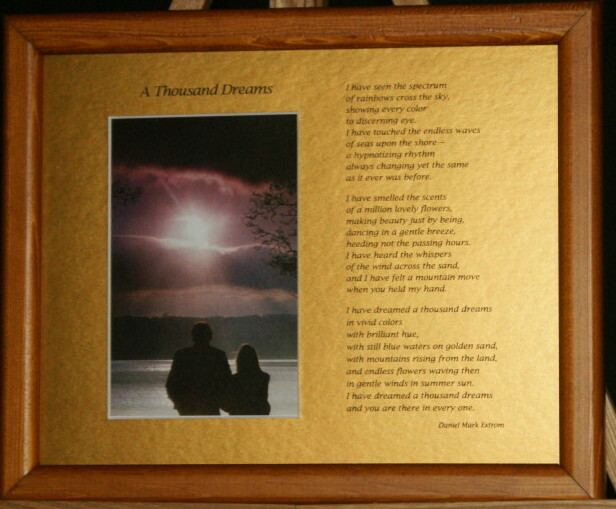 Frames are subject to availability. We reserve the right to substitute a frame of similar color. *Shipping, handling and sales tax, if applicable, are extra. Purchaser is responsible for sales tax in states other than Illinois. Printed. Sold with frame only. 20 inches by 16 inches. Matte is in landscape format, with second matte around photo. Black text. Photo opening: 5 inches by 7 inches. 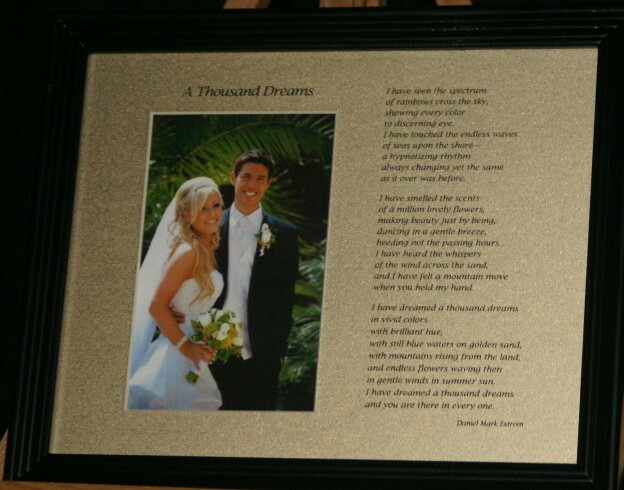 Frame choices: Black or Light brown. 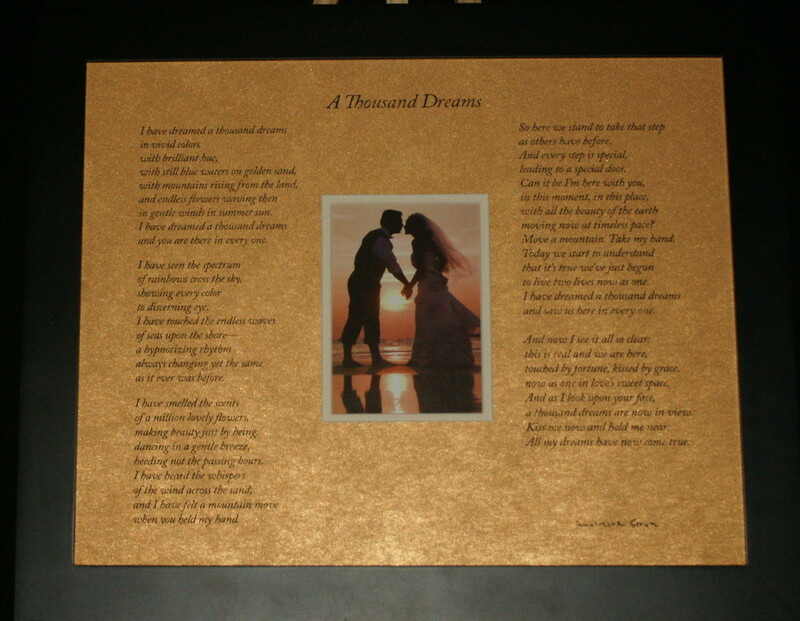 Matte colors: Glittery Gold (orangish); Light Gold; Cream. 10 inches by 8 inches. Matte is in landscape format. 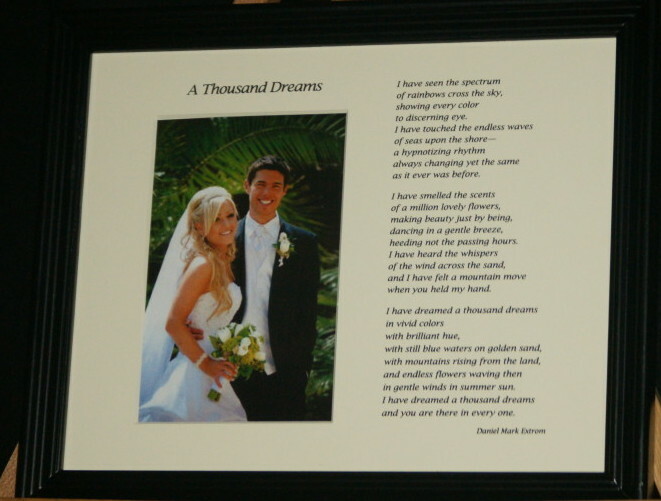 Photo opening: 3 1/2 inches by 5 1/2 inches (Portrait layout). Matte colors: Dark Gold, Light Gold, Burnt Red, Green, Cream. 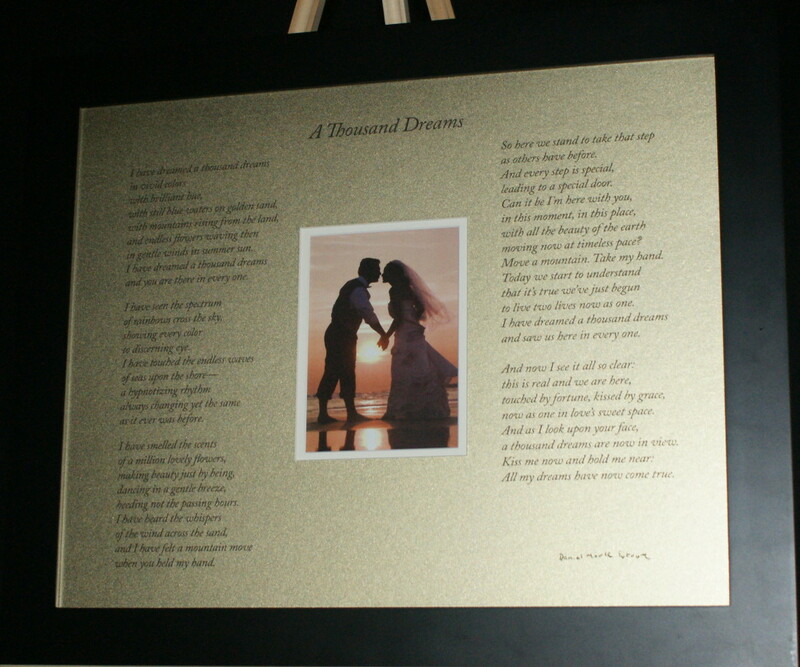 *Frames are shown solely for purposes of showing how the matte will look in a frame. Frames are subject to availability. We reserve the right to substitute a frame of similar color.